The book is a topical release during a tense period in geopolitics of the region. The Doklam standoff between China and India, the South China Sea issues and the belligerent stance of North Korea, all have the potential to spark large scale wars in the Indo Pacific. I have known the authors for a long period and admire them for their professionalism and their ability to put complex strategic issues in the correct perspective. This book represents their expertise in region of the strategic Andaman & Nicobar island territories of India, which sit astride the vital SLOCs leading to the Malacca Straits. The book has ten chapters apart from the introduction, which provide an all-encompassing perspective in to the islands. These include not only the natural, industrial and economical potential, but also cover the important strategic significance, security issues and policy recommendations. The rise of China as an economic and military power has made significant difference in the Indian Ocean security environment. 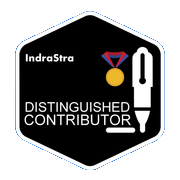 Its interest in the IOR emerges from the need to secure its energy supply lines and the route for export of its finished goods passing through the IOR. It has been expanding its sphere of influence in the IOR and security of the SLOCs is its priority at present. Andaman and Nicobar Islands, ANI also face serious internal and non-traditional security threats that could have grave consequences affecting the security environment of ANI. These include terrorism, illegal migration, drug trafficking, proliferation of Weapons of Mass Destruction (WMD), arms smuggling, poaching of natural resources, etc. The book brings out that these islands can be developed as a self-sustaining economic model and rationale of development of both commercial and military infrastructure as a “dual maritime eco-system” to counter Chinese forays in to the Indian Ocean. Security of ANI and its use as a launching pad in shaping the environment of the region must remain a top priority for India. 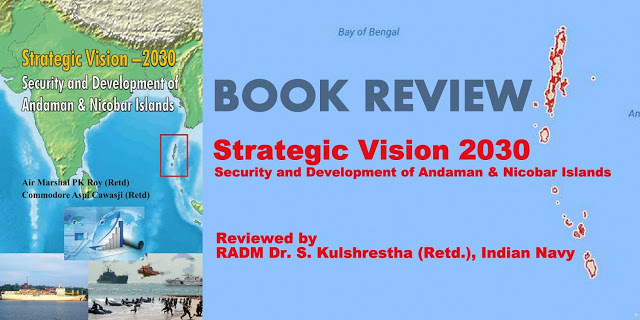 The book aptly brings in to focus the fact that the connectivity initiatives taken by China on both, the Eastern and Western flanks of India along with the increasing economic relations with ASEAN countries of IOR adjoining Malacca will create a favourable maritime strategic environment for it. China with its modernized PLAN and the support of these logistic nodes will be capable of deploying its major forces in the Indian Ocean within the next five years. The book recommends that the infrastructure development in terms of ports, jetties, airfields, docking and ship-repair facilities etc must be dual purpose infrastructure serving the needs of civilian as well as the armed forces. There is a need to create a comprehensive economic engagement plan of these islands with the littoral for them to have a stake in its developmental process. Only then such an engagement would allay suspicions amongst them while India enhances the capabilities of ANC and the consequent increased military activity in the region. The book is a must read for all those who have a need to study strategic complexities of the Andaman & Nicobar Island territories. Next Russia Deploys the Father of all Bombs?